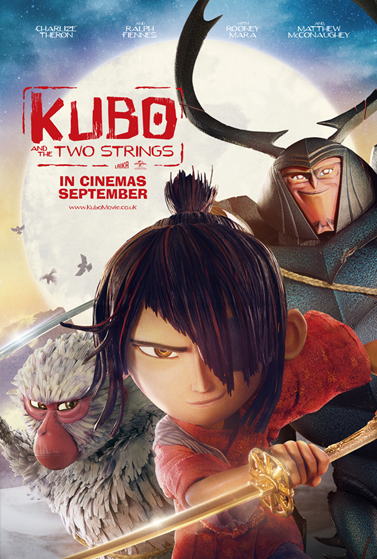 To celebrate the release of new movie, KUBO AND THE TWO STRINGS, we are giving away 2 x movie packs, courtesy of Odeon Wester Hailes. The packs include: 2 x tickets to see KUBO at Odeon, Wester Hailes, a mini backpack, a pen and an Origami pack. Head to the Facebook page here to enter! T&Cs below, see website for details. 1. The competition ends on the 19th September at 10:00am. The winner will be announced after the competition has ended. 2. The prize is 2 x tickets to see KUBO AND THE TWO STRINGS at Odeon, Wester Hailes only, accompanied by the related merchandise as stated above. 4. An eligible entry needs to have liked and commented on the Facebook post with who they would take with them to see the film.